I should probably add the words: "With all due respect..."
P.S. We had to change the URL for the video; please update your links! Great Job! Keeping you guys in my prayers. Let us know how things turned out in Dearborn. Well done Nabeel. "But judgment shall return unto righteousness, and all the upright in heart shall follow it." Psalms 94:15 This is what we are praying for, hoping for, and working and witnessing for. I liked the tone of this video much more than the last one. Great job on getting the truth out there. I'm still praying for you guys. Nabeel, thanks for the post. Your approach is commendable, and your attention to the facts is appreciated. As a local, who has been part of the outreaches over the past few years, I have been actively in dialog with many Christians and local ministries who have long sided against your efforts. The most troubling aspect of those dialogs has been the letter from the Dearborn Ministerial Association, of which the Mayor seems to appeal to frequently for support. Is it plausible that those emails and dialogs between Acts 17 and the DAMA are available for review? Since they are always claiming that the turmoil "on the ground" here in Dearborn is always left by your 'messes' and the 'other' conferences tell their attendees that they will be cleaning up the messes of 'loud mouth' Christians who are open air preaching and tracting. I would like to note that I am one of the Christians here on the ground in Dearborn/Detroit. I have not seen any turmoil with any Muslims that I have encountered. It seems to be that the only ones who contend against Acts 17, are professing Christians. Either way, I would like to see that dialog. You can email me if you prefer. Great response I only hope it was lawyer approved. Well said Nabeel! I do have to admit though, that after reading the mayor's letter I was starting to believe his side of the story...thanks for clarifying and I hope everyone checks out your video...I think that your responses are completely logical and I can't wait for your footage to be released! I've been following this, blogging a bit about it myself, and just want you all to know I'm praying for you and this whole wretched situation. It would be nice if they'd just release the footage to show the evidence of what took place, once and for all. Nabeel, to you and the rest of your crew: you are being prayed for. Your brothers and sisters in Christ Jesus are with you! I cannot wait to see this footage. I pray that the arraignment went well and truth and REAL justice was served. Great job on the video and great response. Know that we here at Stand4Truth.Net are praying for you, David, Paul and Negeen. Now if we really wanted to be offensive, (and by we I mean me) we could get a booth to serve food and sell BBQ pork ribs, Pork Chops, Baccon, Pork Roast, Pulled Pork, Pickled pigs feet. Oh just for laughs get a liquor licence and ohhh hire woman to serve in Hooters "clothing" wearing a hijab. Yeah I wonder how that would go over. Great job!I think this answers the critics of Nabeel and David,that it answers the Muslim critics of them,the Christian critics and also the temporarily Christian critics. 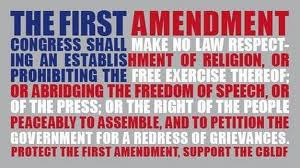 Looks like the Mayor of Dearborn and political correctness might just get squashed trying to squash the First Amendment. The mayor's letter also said, "The truth is Christian evangelists are active at the Arab Festival. They participate in lawful ways." While I did not attend this year's festival, I was with David and Nabeel last year when they were accosted by festival security. You can see my wife prominently in the video on YouTube. At that same festival the following day, I was lawfully speaking to people one-on-one and NOT causing any sort of disturbance or security concern with crowd control. I was not drawing large crowds around me as I spoke individually. Nevertheless, I was targeted by festival security, and were it not for another disturbance that interrupted us, I would have been ejected from the festival. The security folks told me I was clearly in violation of the festival rules because someone took offense to the message I was proclaiming in my personal conversations. A link to the picture of my encounter with the festival authorities is posted below. Mr Mayor, I regret to inform you that even those acting in a fully legal way, not causing a security concern, are also being censored as I was. Your facts are not accurate. I will offer my testimony and that of the witnesses of my encounter with festival officials to help in the defense of Acts 17 if it is needed. David knows how to contact me. Keep sharing your love for the Muslim people in all your commentaries and interviews. That love shone through bright and clear at the Conference you attended in Bloomfield, MI last month prior to the Arab festival in Dearborn. My family and I so appreciated your enthusiasm and your scripture knowledge. Your love for the Saviour and for the Muslim people was very evident. That sort of love cannot be duplicated in the religion of Islam. "O'Really, Mayor O'Reilly? -- A Response to the Mayor of Dearborn"
Nabeel, I'm so disappointed in you. You and David have been "racist" against Muslims by daring to tell them you think Islam is false, and now you are being "racist" against Mayors with Irish surnames by daring to tell them their comments are illogical. This madness has to stop!! Are you guys not allowed to tell us how the arraignment went? We've all been checking in to the website all day, waiting for a report. Allow me to just say a word about AMERICAN CULTURE, I am not an american and I dont even live in the US, but I feel sick when some of these guys post their SILLY opinions about TONE of VOICE. Yes, it is important to keep the tone low, BUT sometimes we need to be LOUD very LOUD. This is the only way MOST Muslims hear what you are saying. They are not trained to listen. The truth must be said. SPEEK it David and Nabeel and do not worry if a handful of people do not agree with your approach. Though I am Brazilian, my family is also from the Mideast and that is the way we communicate with Muslims. Well done. We are praying for you all. I finally posted a video on youtube about what I saw and Nabeel you were right on. The mayor is lying through his teeth cand trying to cover his own rear end. Why doesn't he declare that will be no free speach in Dearborn for Christians and close down the churches because a cross on a building antagonizes a Muslims. Where did you find out about that video? Why haven't they posted it here at this website? 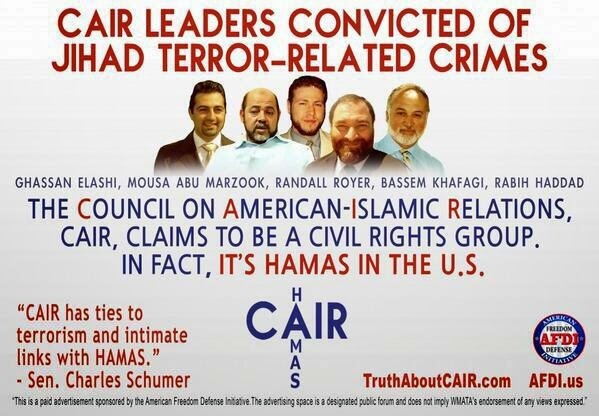 A beautiful offensive by the Dearborn mayor murdered by a brutal gang of facts. Nice job, Nabeel! Welcome to America! American Christians are soft-hearted (which by itself is not a bad thing), and some are so soft-hearted that it becomes weakness in the face of persecution. These Christians who are criticizing David and Nabeel for their manner and tone and saying that they are sinning for standing up for our rights in this country are liabilities to the freedoms of everyone in America. You are right in pointing out the nonsense. Are you saying that they closed down a church in Dearborn because it's cross offended the Muslims? This is Yahya Snow's lastest response. I didn't know this about Neegan. Please do post updates to the blog here. Thanks, Haecceitas for the video link. Like others, I'm looking for a single page on which such updates and links to them will be posted. This news story contains court dates, which also should be included in updates. It looks like Aug. 3 is the next court date--for putting in evidence for use at trial! I wonder what will happen if the police continue to hold the video which Acts 17 wants to put in evidence. Should be grounds for summary judgement. By the way, doesn't the Constitution guarantee the right to know the charges against you? I don't think a vague "breach of the peace" combined with a refusal to give a bill of particulars quite does the trick. They just keep adding constitutional violations. It seems to me if they go to trial while withholding exculpatory evidence and refusing to give you time to prepare your defense with a bill of particulars, the due process violation will be huge. What can they be thinking? I am thinking that the vagueness of the charges at the arraigment (according to the video update) are grounds for dismissing the case. 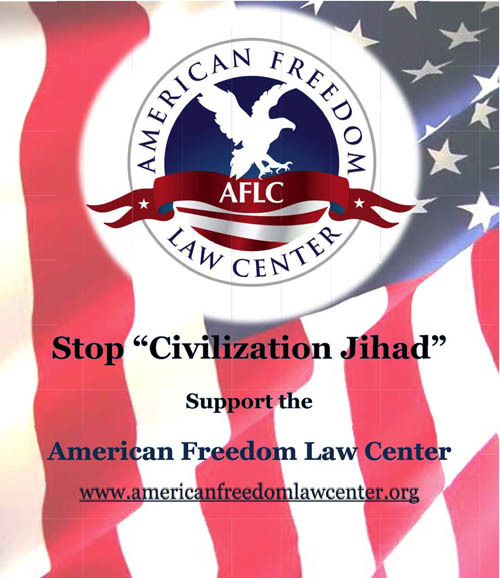 If the City of Dearborn cannot cough up anything concrete, the judge should throw it out. Now why it is proceeding to a trial doesn't seem to make much sense. I have questions. Why didn't the video have to be shown at the arraignment to justify grounds for a trial if indeed Acts 17 did "breach the peace?" Are the mayor's comments now part of the case, since he so justified their arrest with his accusations? Why didn't the judge demand more specificity from the prosecution? Pardon me if I am a little early with my suspicions, but this looks suspicious to me. Yahya Snow is one deluded dude if he believes even half of the spins he puts on the "facts" in his "refutations" of your materials. I don't know if he's that way in general or is it just that he can't get over whatever disagreements you've had with him in the past. (I can understand why he'd take offense with some of Sam Shamoun's more edgy stuff, so I'm not particularly counting that against him, though he seems to overblow that too.) I accepted his friend request on Youtube a while ago but I've come to the conclusion that I don't want to list him as a "friend" since that might give the wrong impression that I'm somehow supporting his defamation campaign - though I do wish him all the best, especially that he (like any other Muslim) would come to know the truth that would set him free. Traeh, I check ABN's Youtube channel pretty regularly and just happened to see that. I don't know why they haven't uploaded it to Acts 17 channel yet. With regard to the contents of that particular video, what amazes me the most is that the judge "seemed hesitant" to allow Nabeel, David & co to get specifics about their arrest and supposed crime. I just saw Yahya's video.It didn't show David being thrown out.He was certainly talking about something with an official(or someone who looked like one)and that was it. Secondly,David only mentioned ONE officer who said something offensive to Negeen. Now in the new video,after seeing the judge,the one given by Haceitas,the police still can NOT say WHAT exactly it was that they did wrong?Doesn't that tell you something? Don't tell me, you guys actually bother reading the blog of Yahya Snow? Well of course if you are interested in mere propaganda, a high emphasis on readhearing and censorship, by all means waste your time and brains on such rubbish. Nabeel, thank you for a wise and well thought out reply. I pray the videos are released and the truth is known. What shocks me the most is that according to the Mayor's document there are some Christian people/organizations that are condemning Acts17. We all here know full well they are innocent of anything,and they should know better. The whole thing smells of corruption.I think those Christian leaders have received death threats or money.Their conduct,on the face of the evidence,is ridiculous. Remember ZAKIR NAIK saying he was for KILLING APOSTATES and HOMOSEXUALS, his refusal to condemn BEN LADEN(in 2007!)? For THAT he was FORBIDDEN to enter the UK and Canada. WHY has Blogging Theology and loonwatch and oumma.com NOT written an ARTICLE CONDEMNING Naik's ideas? Blogging Theology has 3 articles(actually 2 are links to loonwatch's criticism of David Wood) plus a link to the Mayor's declaration(full of false charges,as Nabeel proved). What if DAVID had said:"KILL Christians who convert to ISLAM,KILL homosexuals,plus he would refuse to condemn MILOSEVIC(Serb dictator who killed 250,000 BOSNIAN MUSLIMS)?" Those 3 organizations would be writing pages against him. I AM SURE they SECRETLY agree with ZAKIR NAIK(otherwise why be silent)?Naik's statements were horrible.So goes the world. It appears that in the press release the city is accusing the Dearborn 4 of "harassing and intimidating patrons of the festival." Um, who was harassing and intimidating whom? Moreover, the city says that their "behavior" "drew and incited a large crowd to a point where they were in violation of city ordinances." See what that means? It's more or less implying that the actually dangerous people were the people in the crowd! And if a crowd grows around you and gets dangerous toward you, then at some "point" you suddenly magically become "in violation of city ordinances" and can simply be arrested without a word of other explanation. What a scary thought: Basically, if the Muslims hate you and form a crowd around you, _you_ are the one breaking the law in virtue of _their_ behavior, and so far from protecting you, the police will arrest you and claim that the crowd grew to a "point" where _you_ were "in violation of city ordinances." This is a bad, bad precedent. It must be fought and broken decisively or the Muslims of Dearborn can stifle any speech they want to stifle simply by forming a crowd around the people they don't like and thereby getting their potential victims arrested. May God bless David, Nabeel, Paul, and Negeen! May this case raise the awareness of US leaders to the imminent danger Muslims bring to freedom as is the case here Indonesia in places where Muslims are predominant. Why our guys are not answering. Were them ILLEGALLY ARRESTED AGAIN? What happened in court? Please tell us. Bless you guys for having the courage to stand up against these corrupt tyrants who in futility attempt to superimpose their own versions of the law over the supremacy of our constitution. May a new day of liberty and God given freedom come to our blessed nation as we seek and pray for revival. Hello: "I think those Christian leaders have received death threats or money.Their conduct,on the. face of the evidence,is ridiculous." Hello, Minoria, one ?. So anyone whom disagrees with you have received death threats or money? Because, Those Christians," evaluated the evidence and came up with a different conclusion,"Their conduct is "ridiculous." WOW......do you see what I mean? Please let the LORD in your heart! The conduct of the Christian leaders who were condemning David and Nabeel was intolerant. It seems they have no familiarity at all with Islam beyond "The Dummies's Guide to islam". Don't they know they are SOME Muslims who say falsehoods(even on campus debates)to further X cause. 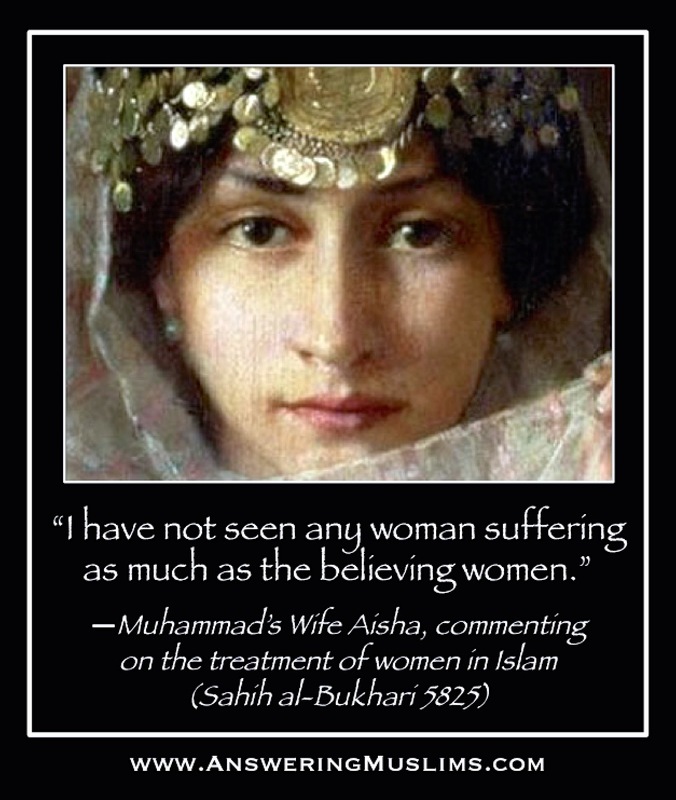 It is REALITY CHECK,so that being the case the best thing is to side with the NON-MUSLIM(Christian,Jew,atheist,etc)till there is REAL evidence of the contrary. I would have said:"I will wait for the evidence,but till now,for me,they are innocent till proven guilty." ...It doesn't seem like Yahya Snow is particularly proud of his "response" if he has to tuck it away in his pocket where only his supporters get to see it. I'm fine with someone utilizing the privacy features of youtube, but if he intends this to be a "response" (as you have labeled it) then I can't imagine he's feeling too confident about it. "WOW......do you see what I mean? The hositility, contempt, anger, bitterness, hate,,,,etc....."
Sorry Jem, I don't see what you mean. Perhaps you could be more specific and give concrete and specific examples of those things you mentioned (quoting from what people said). Otherwise, it just looks like you are reading into people's intentions, exaggerating, and fanning the flames of your own presuppositions with vague generalities. "Help me understand your reasoning"
Hello: "I think those Christian leaders have received death threats or money. Their conduct,in the face of the evidence, is ridiculous." "Hello, Minoria. So anyone whom disagrees with you have received death threats or money?" Please do not take his words out of context... or any quote for that matter, Jem... He was rather specific and not over generalizing, as you are intending it to be. "Because, Those Christians, 'evaluated the evidence and came up with a different conclusion,' Their conduct is 'ridiculous.' "
What were the evidences that they evaluated? Was it the exonerating video that was JUST uploaded in the RECENT post of this blog? Or the personal testimonies of the ones arrested? Or was it just from hearsay and rumors they heard during the event? From Muslims or whoever that knew/heard about the incident? Were they themselves eyewitnesses to what happened; as shown in the video? the recent blog post that included the video footage that exonerates the Acts17..
you are not at all seeking to be 'loving' and just being divisive and doing the work of Satan. Then combine with the numerous/countless comments that included Scriptural verses to 'correct & reproof' you, you have chosen to continue your divisive attitude. And henceforth, are eligible to be ignored. Titus 3:10 - "Warn a divisive person once, and then warn him a second time. After that, have nothing to do with him." I pray God's mercy be upon you and that you will finally be willing to admit your mistakes and be corrected by the grace and love of God.